Students have the opportunity to visit the vineyard fora a tour and wine tasting and to buy wine should they wish on the Diploma courses. There is a link between certain foods; sourdough, beer, cheese, pickles chocolate and wine are all fermented and I generally serve lunch on the sourdough courses with some accompanying fermented foods. So it is with great delighted that we can now serve naturally fermented wine from the families vineyard situated just a mile form the School. I’ve been serving the family wine for several years when a conversation with one of my best friends who is a fan of naturally fermented wines set off a lightbulb, and so we picked and fermented the first bottles just using the natural yeasts present in the wine. We don’t make many bottles.. but oh they are so delicious and picking the grapes is part of the joy of connecting to what we doing with our meals. Friends and family gather in the early morning mist and picked all day. The warmth from the sun drives off the moisture and children laughed and everyone got stuck in helping to pick, and eat, these beautiful heavy sweet bunches of grapes. 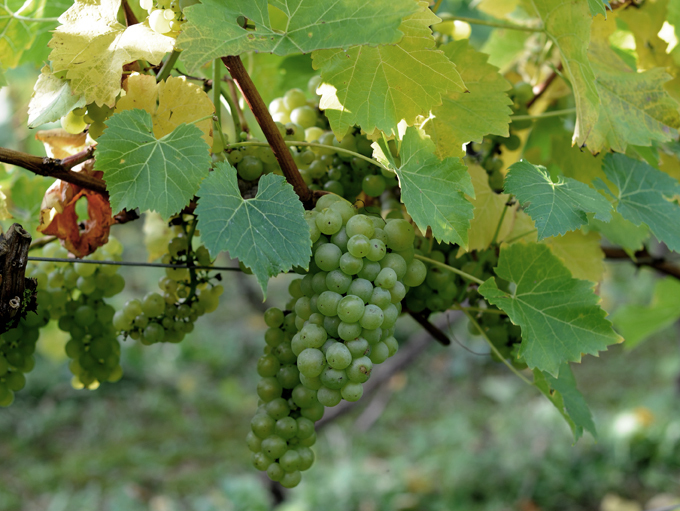 This year the grapes were literally bursting with juice and the buckets soon got filled and I knew that that this years vintage would be be really good – ideal for my first foray into wild fermented wine. 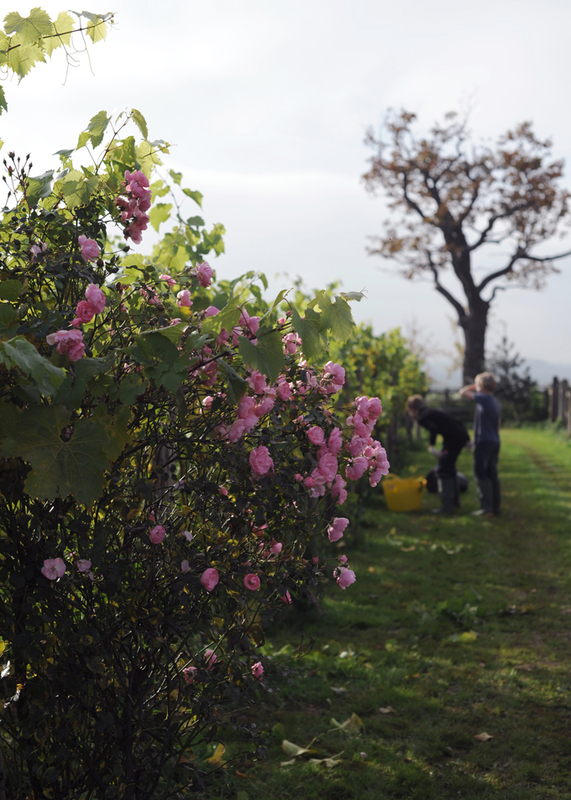 To be able to serve our own wine is wonderful thing, and the wines from the vineyard have won 14 of the British wine awards, including several gold medals as well as silver. It is so good in fact that the Champagne style sparkling won in a blind taste test against one the the very best French champagnes a couple of years ago. It is not just because the vineyard is so local or that we help harvest the grapes that I always treat my students to a glass of this delicious wine, there is also a connection that makes it even more special because the vineyard is named after my sister and belongs to my parents, so quite often my whenever my dad is about comes up and do a wine tasting for students just before lunch. 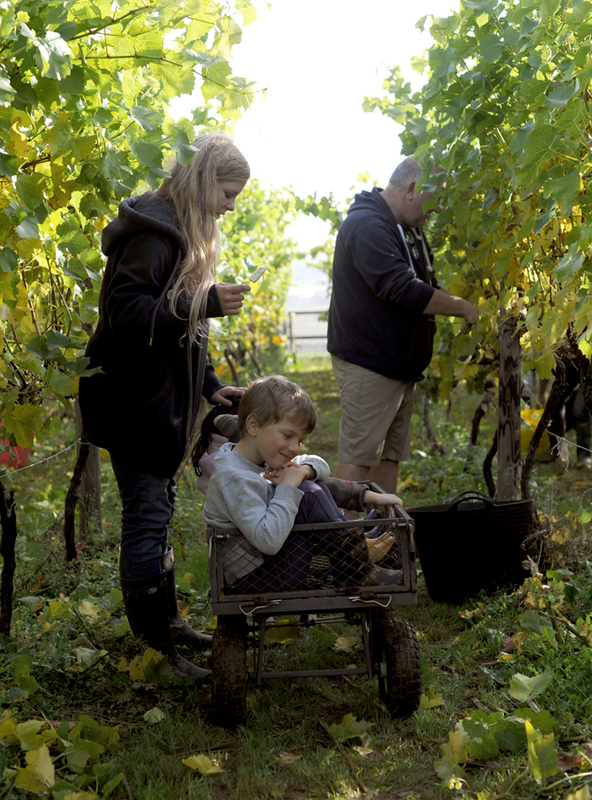 Share the post "Our Family Vineyard & Naturally Fermented Wine"